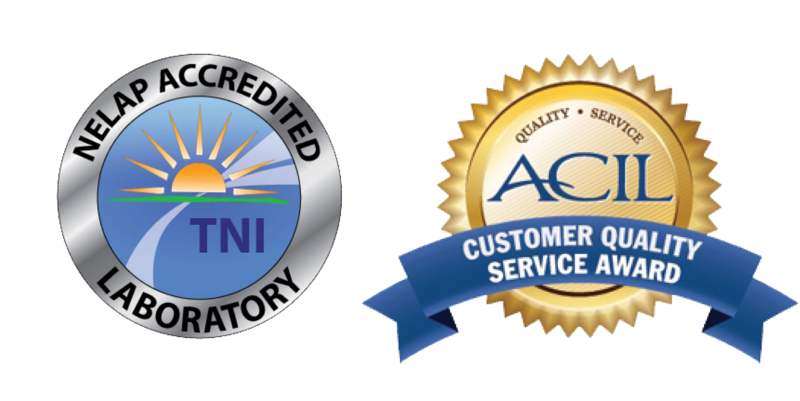 ACZ Laboratories, Inc. has over 32 years of experience providing analytical support to the mining industry and has built a reputation as one of the highest quality environmental laboratories in the industry. Approximately sixty to seventy percent of our current clients are directly involved with the mining industry. ACZ provides analytical support services to gold, silver, rare earth, copper, coal, trona, soda ash, base metal and uranium mining operations. We support mining operations throughout the United States, Central & South America, Mongolia, Africa, as well as Asia. ACZ understands the analytical requirements and data quality needs of the modern mining industry. We deal with the unique water matrices that our associated with mineralized zones around mining operations on a daily basis. We also perform specialized mining related testing and sample prep in-house on overburden, ore, mine tailings, plant & animal tissue that many labs have to subcontract. This overall turn-key experience is why so many mining companies and their consultants choose ACZ for their analytical work. Unlike most of the large chain laboratories, we do all analysis in-house at one single turn-key location and we not have to send out samples to a separate satellite lab to perform a full suite of analytical parameters that require additional shipping, which can lead to increased turnaround times and hold time issues. Acid – Base Accounting is a dependable criterion by which overburden materials can be evaluated. An acid-base account consists of two measurements: 1) total or pyritic sulfur and 2) neutralization potential. The accounting balances the maximum potential acidity against total neutralizers in the sample. The total or pyritic sulfur content accurately quantifies potential acidity of materials when all sulfur is present as a pyritic mineral. When gypsum is found in an overburden sample or the materials are weathered, sulfur occurs in the form of sulfates. Samples high in organic carbon usually contain organic sulfur. When part of the sulfur occurs in nonacid-producing forms, the maximum potential acidity as calculated will be too high. It is for this reason that such calculations are referred to as maximums and that in doubtful cases appropriate acid and water leachings should be made to rule out those forms of sulfur which do not produce acid. Then from the stoichiometric equation of pyrite oxidation, the maximum potential acidity can be calculated in terms of calcium carbonate required to neutralize 1000 tons of the material. The neutralization potential of overburden materials (the second component of a net acid-base account) measures the amount of neutralizers present on the overburden materials. This measurement is found by treating a sample with a known amount of standardized hydrochloric acid, heating to assure complete reaction, and titrating with a standardized base. The result is then expressed in calcium carbonate equivalents. When balanced against acidity from the total sulfur measurement, a net acid-base account can be made. ACZ Laboratories, Inc. holds certification from the State of Nevada for Acid-Base Accounting methods. Nevada is currently the only State agency offering this certification.